Hunting is plentiful in Georgia. You’ll have access to many types of game in Georgia including deer, duck, quail and wild turkey. And, if you’re looking for hunting land for lease in Georgia, you’re in luck. The leasing of hunting land to clubs and individuals is very popular, and land is typically easy to find. As in other southern US states, hunting is very popular in the state of Georgia. And, hunting clubs, where members pay a fee toward the leasing of property for hunting, is also a very popular way for hunters who live in the metropolitan areas to secure a regular place to enjoy their sport. 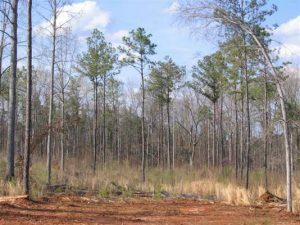 There are so many available hunting leases in georgia that there are resources for helping clubs and individuals locate land for their use. Many hunting websites in Georgia provide details about organizations dedicated solely to matching clubs and individuals with land owners who wish to lease their land for hunting. Local Georgia hunting magazines are also a great way to find hunting land for lease in Georgia. Land owners who wish to lease out their land, or hunt clubs who are ready to transfer their leases will often advertise or appear in lists in these magazines. Keep an eye out during the off season, as this is when most leases change hands. Though there are many high-tech ways to find hunting land for lease in Georgia, you may also be able to find some land simply by word of mouth. Hunters abound in Georgia and their tight network is a great way for word to spread of a hunt club that’s giving up an existing lease or a new landowner anxious to lease his land to a club. Keep your ears open among your fellow hunters and you may find a great deal on prime paper company hunting leases. One word of caution, however. Because the leasing of land is so popular in Georgia, some of the land may have been over-hunted. This is particularly true of properties near the Atlanta metro area. Hunters living in the Atlanta area look for hunting lands that are close in, so these lands are used over and over. Before you sign a lease on any property, ask for the records on how often the land has been hunted and what the catch has been over the last four or five years. You may have to go to a more remote location to find hunting land that has not been over hunted, but its well worth the expense to make sure that you’re not leasing depleted land.